The Cube isn’t a “knockoff” of the Tile, it’s a competitor. Well what makes the cube a competitor and the itek a knockoff? As far as I can see all 3 are competitors to each other, all the similar form factor and similar function. The story of the ‘original’ phone tracker is a bit more complicated than that, and it actually starts with TrackR, which was started by a couple of UCSB students who lost their keys while surfing. Their first product, the ‘Phone Halo’, was successfully crowdfunded in 2010 and later turned into a successful company. About 2 years later the Tile was developed by some Silicon Valley types who integrated newer technology (most importantly, bluetooth low energy came into existence which greatly reduced the power requirements), social capabilities (the tile could be tracked by any phone, in theory increasing the chance of you finding it) and with it the usual Silicon Valley mindset (non replaceable battery, etc). Due to the technological improvements the device was much smaller and a fair bit more convenient, but was really just the logical evolution of the Phone Halo, and TrackR was also bringing their next generation device to market right around with Tile came out. It was also successfully crowdfunded and later turned into a successful company as well. I stopped keeping track after Tile came out, but there are now dozens of essentially identical devices of varying quality available. It’s hard to believe your serious here, but this itek thing is clearly made to be a replica of the CUBE. It’s nearly identical beyond being a different color, and even duplicates the features like using the button as a camera control. Comparing the CUBE to the Tile you can see they accomplish more or less the same goals, but neither of them is made to be a replica of the other. It’s no more a knock-off than a Ford is a knock off of a GM; they are both just cars. Considering the name, I suspect the “iTag” is the more direct inspiration. Not sure if they pre- or post-date the Tile, I’ve gotten three (and put one to actual use – child with a a habit of forgetting either a binder or a cell phone – problem surface shrunk to “remember one or the other, and whichever you have will alert you”) and opened one. 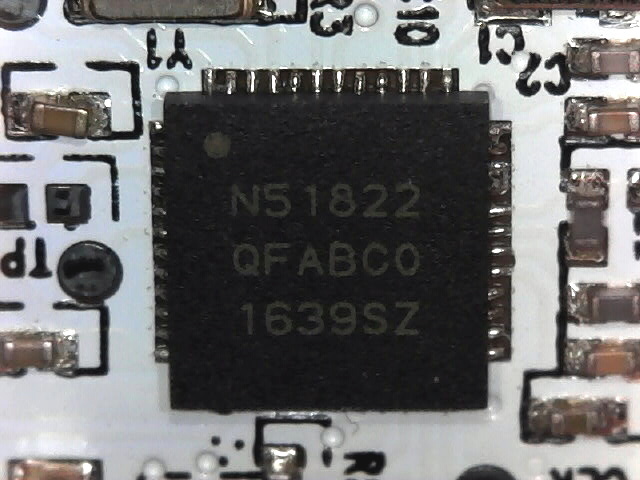 It was nRF51822 based, even had some test pads and a labeled Rx/Tx pair (which makes me suspect it may be a chineese knockoff – “brand” products rarely roll out the red carpet like that) though I didn’t get any further – lost focus an buried myself in other nRF stuff whenever trying. Yes, another nRF51xxx series tracker. Yeah, I went with some TrackRs because of the replaceable battery… but Tile now has two models with replaceable batteries. I don’t have any hard data but I suspect the Tiles have better crowd tracking coverage. One item I have with a TrackR doesn’t get spotted very often. Is that an antenna in the Cube tracker, or via stitching? That piezo molded into the case is bad news! I’ve had 3 different generations of Tiles. They were all built that way too. The problem is that once you stick it in your pocket with a bunch of keys the case eventually deforms some microscopic amount and the fingers inside lose contact with the Piezo element. After that if you pick it up and play with it a little they will regain contact and the tune will play but when it’s time to leave, your keys are lost and you need the Tile to play you can forget about it! Directly from the MCU or with any voltage elevating clever system? If so, what is the volume level? In the picture with the two open devices, on the cube (original) on the right, you can see a blue can attached to the PCB. I’m reasonably convinced that is an inductor wired in parallel with the piezo. If you apply a squarewave with for example a transistor, every time it switches off the inductor will produce a voltage spike higher than the supply voltage, increasing the volume of the piezo speaker. Why didn’t you test the performance of the two products? It would have been really nice to know if their range and consistency difference in any way. My exact thought. It’s nice to theory craft but he currently posses both products. There are so many things that could have been tested to answer the questions left at the end of the article. Is the unique antenna better and if so by how much? I don’t think the idea was to review the product here. We’ve got Amazon reviews and such for that kind of info. The point was to see what was inside of them, and how the cost of construction differed. Even if the electronics in the cheaper one are as good as the more expensive it doesn’t really matter since the case is crap and there won’t be enough of a userbase to make the product work as well as the competition. Remember these systems use other phones running the app as a way to locate the tags remotely. So the end part isn’t saying you should buy the cheaper one, but maybe the CUBE doesn’t need to be quite as expensive either. Though they aren’t making the thing anymore it sounds like, so doesn’t really matter in the long run. You can’t really assert that cutting costs on the electronics side doesn’t affect the user experience without testing whether it actually affects the user experience. For instance, it’s not great if it cuts the effective range in half, or runs the batteries down more quickly, or if it simply doesn’t work when you need it. Huh. If I had guessed based solely on PCB appearance and the soldering in particular I would have bet on the itek being the expensive one. Shows what I know I suppose. I think I’d rather have the cheap one’s plastic case. That rubberized coating is probably going to deteriorate and get sticky, the way my Wacom pen’s grip did. From a complexity and difficulty perspective, I find it difficult to say anyone’s a knockoff of anyone else. Frankly BLE tracker design is fairly cut-and-paste, and I would primarily credit Nordic for having great example code, hardware design, and efficient chipsets for any run-of-the-mill BLE tracker (based on their chipset). If something has particularly long battery life or low cost – then maybe I would credit careful electronics design to the creator of that device (this generally involves a combination of hardware and software). Unless you have carefully measured power consumption of each tracker, I don’t think you can meaningfully determine this with a teardown. The TrackR is frankly not even competitive. It seems like it uses Bluetooth 4.0, which is inherently far too power hungry to perform well while serving this purpose. Before BLE it would have been more feasible to design some proprietary 2.4GHz phone case external tracker than to use Bluetooth, honestly – IMO many engineers considered using Bluetooth 4.0 for this and discounted it after looking into size, power, etc. 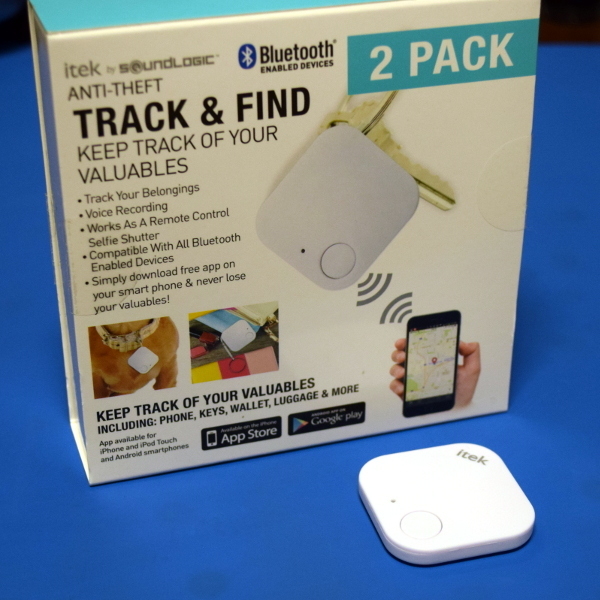 Part of the reason these trackers became so popular after BLE came it is that it became blatantly obvious that the application was very doable. The difference between a well designed one and a poorly executed knockoff is a function of battery life, range, loudness, and latency, much of which is actually a firmware problem instead of a hardware problem, so I really don’t think a teardown would say much. Actually, when I first saw the PCBs, I thought the “knockoff” was the older device. That random edge mounted cap sounds like it’d increase production costs with no meaningful benefit. 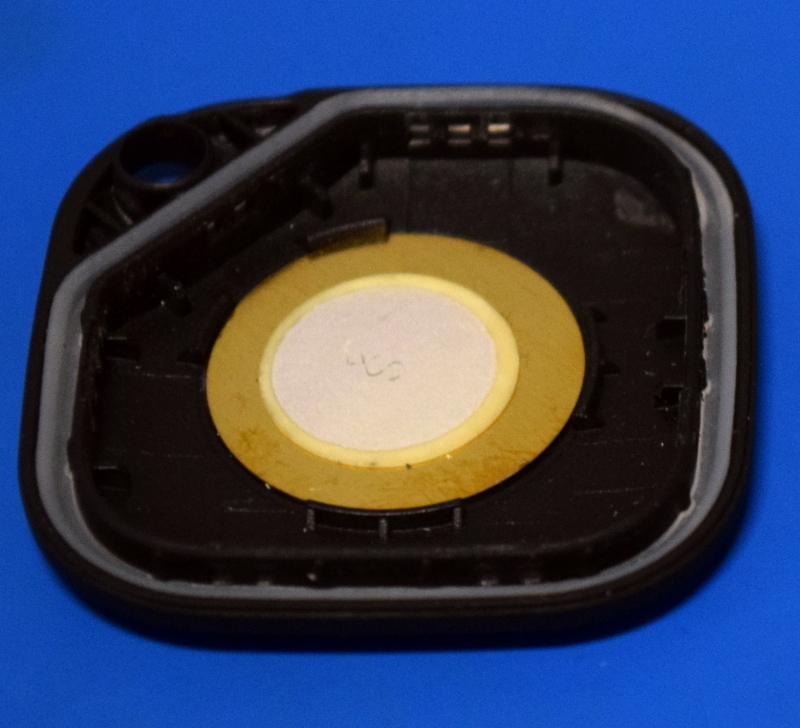 If you’ve done any serious BLE design, you know that type of electrolytic is usually a no-no in low power design, and probably ruins the battery life. Of course, maybe it’s performing some function that’s not decoupling, or it’s used in some sort of non-battery-draining manner. For this particular application, cost is honestly part of the innovation. Most people would not buy a key tracker for $50-$100 each, so that doesn’t really help anyone. But once it hits <$10, the price makes the utility of the device accessible to more people. Cost is as much part of engineering as is design. That’s a lot of text to sound stupid. Bluetooth 4.0 _is_ BLE. That was the major addition to the spec. to move from 3.x, and one of its existential use-cases was indeed to do devices like this. BLE is also anything but power hungry – these devices should have lifetimes in the multiple year range on a CR2032. There are many manufacturers (including Nordic) who do single-mode BLE chips – as you correctly state, they pretty much all have a tracker as their “my first BLE device” example code. None of them are ‘knockoffs’ of each other (afaik). Any tag manufacturer bothering to do anything over and above the chip manufacturer’s reference design is wasting their time for an app like this. I think this edge mounted part is an inductor. But I have also seen electrolytic caps in older low power devices like calculators, mounted like this. Probably there are different qualities of caps. The big question is this — can you pair them to each other’s apps? All the knockoff devices I’ve seen, work only with one’s own devices. I can make my keys beep, but if my keys are across town, I can’t ask some other “crowd locate” user to keep an eye out for their MAC address. The Trackr and Tile apps have a gazillion users looking for each other’s marked-as-missing devices, and that’s what makes them powerful. But neither one makes a version in the form-factor I want. I’m handy with a soldering iron, but both the Trackr and Tile devices are expensive to make mistakes with. I’d much rather get some dollar-a-piece beacons and chop ’em up until I’m comfortable gluing one into the handle on my Pelican case, then pair it with the Trackr or Tile app. I haven’t dug deep enough to figure out how these things recognize their kin, but if there’s just some ID string I can change in the generic ones to make ’em work with the name-brand apps, I’m all about it! *) I really hope the pun was intended.